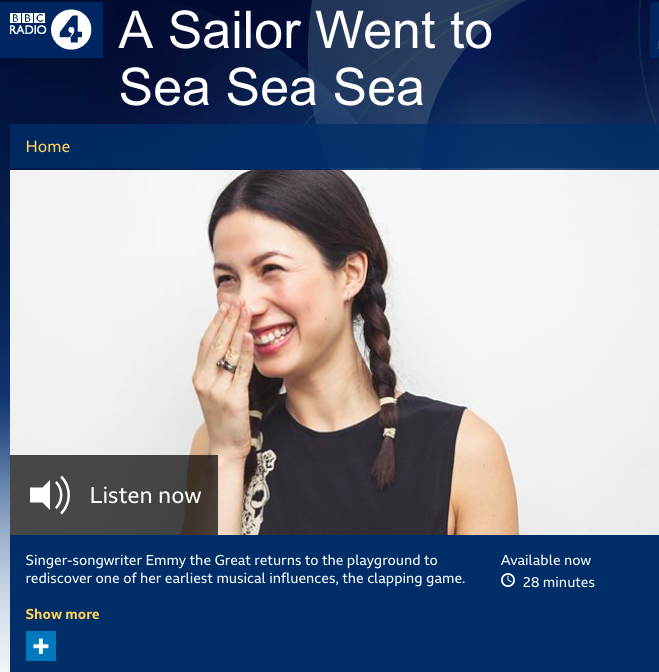 You can now listen to A Sailor Went to Sea Sea Sea on BBC Radio 4’s website. I had an amazing time presenting this documentary about playground clapping games, and the mysterious journey of these rhythms around the world. I interviewed kids at my old primary school in Hong Kong, and the adults who work with sound archives of games and rhythms from Iceland to Hackney. I also got to score the programme and write an end song based on our discoveries. I’m so happy about it.